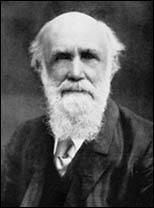 Clifford was a strong supporter of social reform and self-help. 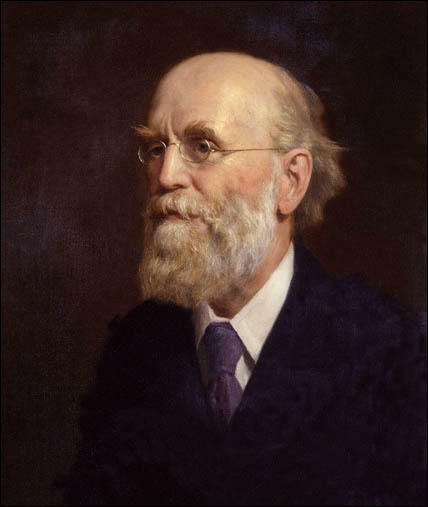 In Paddington he helped establish the Westbourne Park Institute, an institution that provided free adult education, the Mutual Economic Benefit Society, an organisation that provided sickness benefit, the Westbourne Park Permanent Building Society to encourage saving and a Labour Bureau to help those seeking work. 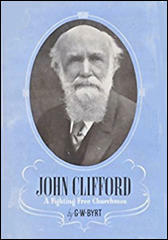 In the 1870s Clifford emerged as the leader of the Baptist Church in England. He held several senior positions including the presidency of the London Baptist Union, National Baptist Union and the Baptist World Alliance. As a religious individualist, Clifford clashed with the other main Baptist leader at the time, Charles H. Spurgeon, who advocated a more conservative approach to religion. Clifford supported the right of the individual to develop their own moral views on the war and was totally opposed to conscription and the punishment of conscientious objectors. Clifford now became a Christian Socialist and in the 1918 General Election Clifford deserted the Liberals and instead supported the Labour Party. Clifford was especially critical of the nationalist speeches made by David Lloyd George during the election campaign. Clifford retired as pastor of Westbourne Park in 1915. He continued his campaign against the 1902 Education Act and in December 1922, received his fifty-seventh summons to appear before the magistrates for refusing to pay his education rate. Distortion and exaggeration are of its very essence. If he has to speak of our pending differences, acute no doubt, but not unprecedented, he must needs compare them to the great Civil War. If he has to describe a deputation of Nonconformist ministers presenting their case to the leader of the House of Commons, nothing less will serve him as a parallel than Luther's appearance before the Diet of Worms. Clifford was brought up in the New Connexion of General Baptists, a product of the eighteenth-century evangelical revival centred in the midlands. As a minister in London he became a national leader and was editor of the General Baptist Magazine (1870–84). 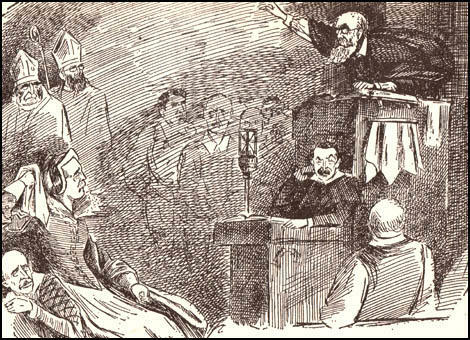 He was president of the General Baptist Association in 1872 and again in 1891, when the association formally joined with the Baptist Union of Great Britain and Ireland, a moment for which Clifford had worked hard for many years. He was president of the London Baptist Association in 1879, and of the Baptist Union in 1888 and 1899. When the first Baptist World Congress was held in London in 1905, attended by delegates from nearly thirty countries, it was resolved to form the Baptist World Alliance, and Clifford was unanimously elected president. In 1908 he chaired the first European Baptist Congress in Berlin, and in 1911 presided at the second Baptist World Congress in Philadelphia. He spoke at the second European Congress in Stockholm in 1913, and presided over the meeting in London in 1920 to organize assistance for European Baptists who had suffered from the war. Clifford was open to new directions in theology, while preserving the centrality of the person of Christ. This is seen in books such as The Inspiration and Authority of the Bible (1892), The Christian Certainties (1894), and The Ultimate Problems of Christianity (1906). As vice-president of the Baptist Union in 1887–8 he found himself involved in the down-grade controversy. Spurgeon (a lifelong friend) had accused members of the Baptist Union of abandoning doctrines which he held dear, and resigned from the union. Clifford was involved in the attempts at reconciliation, but was determined to avoid the pressure for a new credal statement as a basis for membership. Instead he drafted a declaratory statement which was approved by the Baptist Union Assembly in 1888.